Discussion Is sentient same as conscious? Interesting question from another thread. No, it's not the same, in my opinion. Sentient is awake and aware. There are all manner and schools of thought which over the decades, have succeeded in demonstrating the intelligence and consciousness of animals, both wild and domesticated. In the wild, animals have continued to evolve and adapt to conditions, bettering their skills, instincts and cognisance. Domesticated, man-bred animals have improved because we have sought ways to breed them that way. Many dogs never grow up for example, because some of their adult, aggressive, defensive, combative traits have been bred out of them. Owners are still occasionally surprised by their own pets' abilities, and they discover things about them that were hitherto unnoticed. There is no question that animals display basic feelings, in my mind. We have all, surely, experienced the affection and closeness of an animal at some point or another, and it has warmed our heart. The therapeutic effect of having a docile and loving anmal, in hospitals, has been documented many a time. But I don't consider these animals to be 'sentient' in the way many Buddhists would consider the word to mean. Depends on the context in which you are speaking. Sentience is a component of consciousness, just like my head is a component of "human being". So is my head the same as "human being"? One one hand, yes, on another hand no. Depends on how you're speaking. It seems conscious is the more far reaching definition, implying thought and will, while sentient merely sets the bar at sense impressions and thus includes animals. According to the Miriam-Webster, that is. The way I think about them they are the same. To me conscious and sentient refer to the simple fact of the lights being on, that there is some internal experience to life. I juxtapose that with intelligence or cognition. A robot or an advanced AI could conceivably perfectly replicate human intelligence, emotion, behavior but internally the lights could be off. There would be no internal experience that it would be like to be the robot. In humans cognition and consciousness go hand in hand and I think it is reasonable to infer that other animals with similar biologic systems, a central nervous system and brain, would be sentient too. Reading between the lines, I've always got the impression from my teacher, and perhaps HHDL as well that sentience includes the possibility and not just what exists that we, as humans, can measure. If an animal that we don't understand well has the possibility of sentience, then we should treat them as if they have it. To me, the definition that sentience is the ability to experience based on feeling rather than logic/reason makes the most sense. I think there are quite a few animals that do that, but our general lack of understanding because they don't do everything like we do leads us to suspect they aren't. Or, we withdraw that definition because it makes us more comfortable to do so because we are so wanton about killing animals. Thinking of them as having emotional-types of experiences makes that harder for many people. Sentience is one of the defining characteristics of life - the ability to sense and respond to stimuli. All life is sentient by definition. Others will disagree, but that is how I use the word, and I'm sticking with it. Sentience runs the gamut from very simple (bacteria, say) to very complex (humans), but they are all sentient. Consciousness is another matter entirely - a speculative matter, one could say. I've never seen a definition of consciousness that really conveys (to me) much sense of what it actually is, but it certainly is like sentience in that it appears to run an extensive gamut from very simple to very complex. Unlike sentience, however, there is no way to say just where it leaves off as one descends down the evolutionary chain. What does that mean for your Buddhism? Buddhism generally refers to sentient beings, so does treating a wound with antibiotics or eating a carrot create negative karma in your book? Does an amoeba have Buddha nature? You've spelled out some of the problems in trying to pin down a definition but can you try to explain more about how you do define it? "Sentient "capable of feeling," from Latin sentientem"
"Sentient beings are composed of the five aggregates, or skandhas: matter, sensation, perception, mental formations and consciousness"
What does that mean for your Buddhism? Buddhism generally refers to sentient beings, so does treating a wound with antibiotics or eating a carrot create negative karma in your book? Life feeds on life, and we do the best we can. Karma too finely minced becomes an entanglement. Does an amoeba have Buddha nature? ... explain more about how you do define it? I wouldn't even try. It seems a bit like the self to me, nothing I can grasp or point to and say this is my consciousness. I seem to have it, others seem to have it, but I've no idea what it is. @Fosdick, I'm sorry, but if you make declarative statements, you need to be able to either back 'em up or justify them. You made a couple of pretty definite statements about what you believe, and you're sticking to it - but then you either can't or won't clarify and expand. You cop out by using the excuse that karma minced = entanglement, and 'mu' - ?! Really? YOU'RE the one who made the declaration. Asked to explain, you then back-pedal? Hmmm.... Are you sure you really thought this out to the point of belief, or you're actually theorising to your satisfaction because you haven't? Thanks @Shoshin that explains it very well. I'm not sure you're really thinking this through. If you believe all life is sentient and life feeds on life, what are the moral implications of killing plant and single cell life? Is cutting down trees to build a log cabin the moral equivalent to slaughtering a bunch of cows to build a cabin out of bones and leather? Clever, but it seems like more of a dodge to me than answering the question not only to me but for yourself. I bet you can at least come up with some narrowing down. I seem to be able to smell things, others seem to be able to but that's probably not what you're talking about. Is it something that helps us run fast or helps us pick a face out of a crowd? EDIT: Are all sentient beings in your definition conscious beings? I think it's important that we clearly think about and define what we believe and challenge those views so that we can come to a better understanding. federicas definition open up an idea of thought about consiousness and sentience.when we fall asleep does our consciouse state collapse inward,which we call deep sleep. does the element of sentience allow the the subtle conscious state to be aware of a dreaming state.is like waking up,the brain needs to,come back.personnally,coffee help.another thing some creatures aren't aware of its image in the mirror.it goes into the question of self aware. fosdick,open up the idea of evolution and dharma.the characteristic of dharma is change.so evolutionary thery of change and adaptation has a friend in dharma.sometimes when i see dead animal,i say happy passing.not allways.sometimes sad.is aspect of sentience to feel for others.i saw on tv an elephant standing beside a member of the family that passedaway.was it aware?dont know. By this token, I understand that all life is sentient because all life responds to external stimuli. I would also infer that consciousness requires sentience, but sentience does not require consciousness. which would seem to say pretty clearly that, by the Buddhist definition, all sentient beings are also conscious. So for Buddhist purposes, consciousness and sentience, though not the same thing, would seem always to go together. @person: Amoebae are, so far as I know, never mentioned in Buddhist literature, and in the Buddha's time were not even known to exist, so perhaps it would be best to exclude them from consideration solely on the grounds of convenience. You've raised some other issues with my ramblings - I'll try to address some of them as time allows. That helps. It's all so murky and ill defined. I heard someone today talk about the possibility of robots gaining sentience and starting the robopocalypse. So they were using it in the same way that you do, simply being able to sense and react to the environment. I don't see it the same way but I understand what you mean. I've heard HHDL say he defines sentient beings as beings that can move in reaction to their environment. So he thought amoeba were sentient, but when challenged that under that definition bacteria would also be considered sentient, he added something about bacteria responded only chemically so wouldn't be sentient. I think what he means is that he believes amoeba have minds that they use to direct their behavior and bacteria don't. Buddhists pretty universally don't consider plants as sentient but if you look at their behavior it is at least as complex if not more so than an amoeba, they just don't appear as sentient because they're not mobile. So, I agree that consciousness and sentience go hand in hand. I think what defines a sentient being is that it has consciousness and not only that it can respond to its environment. The problem, as I see it, is that we have no reliable way to measure consciousness and thus are at a loss to say what life is sentient (as I define it) and what is not. There are lots of creatures that we now know exist that raise interesting challenges to Buddhist definitions of sentient beings. Nematodes are complex creatures that exist everywhere so just by living we are killings countless numbers of them, what does that mean for our karma? Paramecium can be cut into many pieces and each one will grow into a new fully functioning individual, what does that mean for a dualist view of a mind that survives death? Tartigrades can be dehydrated for years then brought back to life, what happens to their immaterial mind during that time? It probably does confuse the issue. For me though, traditional Buddhist views and definitions of sentience and consciousness need to be confused some in light of what we now know about biology. that reminds me a startreck episode questioning datas sentience being status .it gave me food for thought at the time ....think and feel and respond to that thinking and feeling.respond to live is strong in most base creature. sometimes,i watch utube video of animals.i saw the naked bird. she is awe-so-awsome.sometimes dogs mimick human speach saying i love you,....thats magical in my opinion. @Fosdick, thanks for coming back to it. Good points. Maybe we can, or should simplify (heh, that word again.... as that wonderful Bhikkhuni explained it to me!) matters; rather than trying to define the difference between Sentience and Consciousness, (ie, putting the onus on 'them' to demonstrate to us, what 'they' are), we should instead, look within ourselves, take the decisive responsibility, and remember our Precepts, the first of which is 'Do no Harm' (in a nutshell). As I'm fond of saying, "If it feels good, do it; when in doubt - don't." @Federica said > thanks for coming back to it. Oooh-er! bit low for you, hun! I know when my hubby had diabetes (type II) and he went too low, he was like a bear with a sore head.... So take care! The difference in cognition between men and animals is one of degree and not of kind. Interesting you are perhaps introducing the idea of degree of volition into the search for sentience? One could certainly do that, I guess. As I think consciousness itself spans a wide scale from very simple to very complex, so also would volition. But when does either one reach the point of simplicity where consciousness or volition ceases, and responses become merely biochemical ? We have no way of determining that, so far as I can see. I'm certainly willing to accept that viruses - the most abundant type of biological entity according to Wikipedia - are neither conscious nor sentient, but cell-based life forms are a little more problematic. In the end, I hold all life to be worthy of respect and compassion, sentient or not. I was a little uneasy using the word sentient in that post. Perhaps sapient would have been a better choice. I have little specific knowledge about this .. but when my teacher (a Tibetan geshe) talks about "sentient beings", he is including even fish and insects. The terms - at least in the Vajrayana tradition - seems to include all animal life-forms, and does not refer to cognitive ability. I have been attending lessons from this Lama weekly since 2017, and that is the framework for my comments on this question. An enjoyable discussion. I was listening to an interview of MartyrMade podcaster Daryl Cooper awhile back and his thoughts on consciousness. He described it this way. Lower life forms are what they do. An earthworm is what it does. On an ascending scale a lion playing and relaxing in the sun is more than what he does, he has thoughts, he enjoys, he gets angry, etc. Man is much more than what he does, in fact if his immediate needs are satisfied he can do nothing but think, wonder, and hypothesis, so much so that's it can become a problem. Enter the Buddha to help us get a grip on our overactive mind. I'm wondering what The Buddha meant when he said sentient beings. I was always under the impression that he meant all fauna, but I could be wrong, it's happened before. Let me ask this question, are cognition or intelligence the same as consciousness? Can an intelligent being with thoughts and feelings, maybe even cognition of itself as a distinct being, be unconscious or are the two inseparable? It all depends - in the context of your question - what you now mean by 'conscious'. Do you mean, aware? knowing? Because I've met some pretty "intelligent" people who have, to put it bluntly, been as thick as two short ones (or something of a more lavatorial nature!) when it comes to understanding the workings of matters outside their sphere of intelligence. To give a brief and basic example, my father was very good friends with a musician/composer who could, given the opportunity, talk for hours on his favourite genre of music and its composers, but engage him on ANY subject matter outside of that, and he floundered like a fish out of water. There was no doubt this man - a University and College Lecturer - was intelligent. It's hard to define. What I don't mean is something like conscientious or to notice or pay attention or like in your example, someone who is lost in their thoughts and not very present. I like to use the example of a perfectly human like robot, if they act and think like a human do they automatically have an inner experience like a human or is it all just an external display? Is sensing and reacting to pain identical to feeling pain? Or does having a conscious experience of pain require an additional neural or metaphysical component? @person said: It's hard to define. What I don't mean is something like conscientious or to notice or pay attention or like in your example, someone who is lost in their thoughts and not very present. It's not that he was 'lost in his thoughts and not very present'; It's that if any subject matter was outside his sphere of expertise, he had no interest and resisted involvement. He actively dismissed any topic he found beyond his scope of authority, as unnecessary to examine or discuss. He was quite rude, and very dismissive, but in a totally imperceptive way. He was, in short, a Genius - insofar as Opera was concerned. In all other things, he was, frankly, a bit of an idiot. My father admired and respected his Genius - but was highly critical of his reluctance to expand his discursive repertoire. I'm not sure that's a very good example, given that (AFAIK) no such advanced and perfected mechanism actually exists. It's an hypothesis. Is sensing and reacting to pain identical to feeling pain? No, and again, were muddying descriptions here. Sensing is the same as feeling. Feeling IS one of the 5 Senses. Reacting to pain is a response, and sometimes the response is instinctive. .
Or does having a conscious experience of pain require an additional neural or metaphysical component? A conscious experience of pain is an indication of a neural profile. What do you mean by 'metaphysical' exactly? Theoretical? Imaginary? Mind-wrought? I guess my attempt at summarizing your point missed it's mark. At any rate when I'm talking about conscious I'm not talking about anything like behavior in your example or any other example really. It's only a thought experiment to try to get at what it is that makes us human. It's true that at present it isn't particularly pressing but probably will be a tangible question in the decades to come. 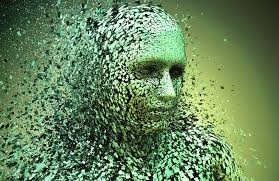 There is an actual metaphor that is used in philosophical questions around the nature of consciousness known as a philosophical zombie, I prefer to use the example of an android because it's basically the same thing and people understand what an android is more than they do a philosophical zombie. For example, if a philosophical zombie was poked with a sharp object it would not feel any pain sensation, yet could behave exactly as if it does feel pain (it may say "ouch", recoil from the stimulus, and say that it is feeling pain). Some reject the idea of a philosophical zombie and maybe definitions of words confuses the ideas. It's a complicated topic and maybe I'm not explaining it well, but I think it goes deeper than a semantic one. A conscious experience of pain is an indication of a neural profile. Is it? Is neural activity identical to a conscious experience or qualia? One can be seen by any third party and one can only be seen by the experiencer, so can they truly be said to be identical? What do you mean by 'metaphysical' exactly? Theoretical? Imaginary? Mind-wrought? I'm just saying that what exactly causes consciousness is utterly unknown at present, we don't have the first sentence even about its cause. The assumption in neuroscience is that something physical is happening in the brain, but something like panpsychism is also a tenable position to many. One of the most intense efforts is pulling our own rugs from under our own clay claws/feet. @person said:> I'm just saying that what exactly causes consciousness is utterly unknown at present, we don't have the first sentence even about its cause. The assumption in neuroscience is that something physical is happening in the brain, but something like panpsychism is also a tenable position to many. I find panpsychism an appealing idea, but what makes it a tenable position? It seems more like a religious belief than something which could be "proved" objectively. I generally assume consciousness to be an emergent property of life, given that even simple organisms are aware of their environment. Interesting how often this topic comes up here. My personal definition of sentience is: an animal that can show an emotional response. How long a "life" did those rabbits live? Did they know they were going to die? Reading accounts of people who were officially dead then came back, they can recount a definite mortal recognition...the moment of this is it...and the time after. I did not feel sad when the rabbits died or even surprised. I was fascinated. I felt like I was watching a lesson. Statistically it had to happen. Everything dies at different times. I am at peace. I'm not sure it really is an empirical question. An argument is that the first person perspective that is consciousness will forever be empirically elusive. The idea that proponents and developers of Integrated Information Theory use is that consciousness is an irreducible element of the universe like space or gravity or other fundamental laws of physics. I'm not sure I can do the argument justice in a short space like this, there is a section at the wiki link for pansychism about arguments for that might do a better job. I just listened to a podcast today where David Chalmers does a good job of laying it out, abc.net.au/radionational/programs/allinthemind/contemplating-consciousness/8874298 . You can listen or read the transcript but the related bits are the two longer sections by Chalmers. This isn't the definition of consciousness that I am talking about so maybe we aren't really even on the same page. When talking about the hard problem of consciousness or something like panpsychism we aren't talking about behavior, a robot could be considered aware of their environment and react towards productive outcomes but presumably there wouldn't be any sort of experience within the robot of what it was like to be them. To be specific I'm talking about qualia and not stimulus response or cognition. If all we are talking about is stimulus response to the environment then you can ignore pretty everything I've been saying because I agree that those are empirically physical processes and we basically understand them aside from the minutia. If anyone is so inclined I recommend looking up Cleve Backster and his work with primary perception. It is very interesting. @person said:> This isn't the definition of consciousness that I am talking about so maybe we aren't really even on the same page. When talking about the hard problem of consciousness or something like panpsychism we aren't talking about behavior, a robot could be considered aware of their environment and react towards productive outcomes but presumably there wouldn't be any sort of experience within the robot of what it was like to be them. I was suggesting that consciousness is just a sophisticated form of awareness of environment, a product of evolution, with the further sophistication of self-awareness in higher mammals. But I agree it's a complicated subject, with lots of unanswered questions. To be specific I'm talking about qualia and not stimulus response or cognition. The Qualia approach is interesting, it seems similar to the Buddhist model of the sense-bases. If that's the argument for consciousness then when robots gain increasing levels of awareness of the environment and probably at some point gain enough self-awareness to pass the mirror test does that mean there is an inner experience of what it is like to be a robot? Or is something missing, some other factor that we're not aware of? If so, then simply pointing to behavior or increasing levels of sophistication in cognition or information processing isn't really a sound basis for determining consciousness. 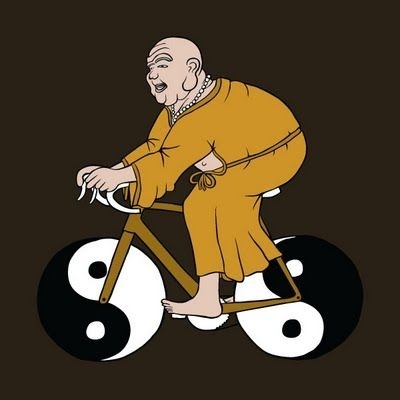 I'm not that familiar with the sense bases in Buddhism. I think they say that for each of the physical senses there is a corresponding mental sense? If that's it then it does sound similar. The origin of the idea of qualia in the west came from the philosopher Thomas Nagel back in the 70s with a paper What Its Like To Be A Bat. So while similar to ideas that could be called religious, the idea of qualia is based on subjective observation and independent thinking. We are conditioned to believe that we are this or that. Robots can also be programmed to believe it is this or that - and therefore some sort of subjectivity would then exist. I don't feel like I'm getting across my point. Certainly a robot would have it's own unique perspective and way of processing the world, so in that sense it can be considered a subject. Many of the words used in the philosophy of consciousness have several meanings outside of that world so it can be confusing if we mean different things with the same words. We know we take in and process information unconsciously, respond and process information without any knowledge or experience of doing so. Some of the information we process is conscious, we not only have access to it and thus some sort of control but there is also an experience associated with that information. We know the brain processes different aspects of a bouncing ball, for example, separately (movement, color, shape, etc.) and then "mashes" them together to create a coherent story (a bouncing ball). What we don't know is why all that processing has an associated conscious experience to it, why it's like something to see a bouncing ball. So we shouldn't assume if a robot can sense and process a bouncing ball that they automatically have a conscious experience of it, it could all be unconscious. I don't think it would be murder to destroy a fully unconscious robot even if they acted in ways to preserve themselves. But it would be murder to destroy a robot who had a consciousness even if they didn't act to preserve themselves.